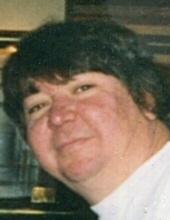 Robert M. Dolan, 69, of Ashland, PA passed away Sunday, March 31, 2019 at Lehigh Valley East, Pottsville, PA with his loved ones by his side. Born in Ashland on April 15, 1949 the son of the late Anna Dolan. He was a 1967 graduate of North Schuylkill High School. He enjoyed watching football and was an avid Notre Dame fan. He worked as a bartender at Marrones Cafe in Girardville for 30 years. He also worked at other local bars and McGuires Pub in Atlantic City. He was a member of many local clubs and fire departments. Along with his mother, he was preceded in death by his maternal grandparents: Anna and Vincent Dolan. He is survived by his Aunt Betty Dolan of Maryland, cousins, his caregiver Kaity Korn of Ashland, and lifelong friends Arlene Loftus of Pottsville, David Boppel and Jimmy Marrone both of Ashland. He had countless friends he made throughout the years. A memorial service will be held 11:00 AM Wednesday, April 10, 2019 at the Kull-Heizenroth Funeral Home, Ashland with Rev. Paul Rothermel officiating. Visitation 9:30-11:00 AM Wed. April 10 at the funeral home. Interment will be at the convenience of the family. Kull-Heizenroth Funeral Home Inc. Ashland is in charge of the arrangements. To send flowers or a remembrance gift to the family of Robert M. Dolan, please visit our Tribute Store. "Email Address" would like to share the life celebration of Robert M. Dolan. Click on the "link" to go to share a favorite memory or leave a condolence message for the family.